It’s hard to imagine what people must have been like if we’ve never had the pleasure of meeting them, harder still if we’ve not seen them through the medium of TV or film. Today we feel as if we know celebrities merely by watching them on YouTube or in interviews, or through their reported antics in the press and media. Chanel’s story is an fascinating one, and no doubt she’d have made an incredibly interesting interviewee. The only one I have found is in French with no subtitles, impossible! By the power of astrology I can make some star sign speculations on her style, though, and we have her designs and body language too! With both the Sun and Venus in Leo Chanel was bound to be the star of the show, a confident extrovert with lots of creativity and star power. Mercury in Virgo adds a touch of exactness and precision, while also giving the potential for a critical eye… Virgo is the best sign for fashion designers, and Mercury governs how we think, so this is a great placement for Chanel. Further artistic prowess can be attributed to the Moon in Pisces. 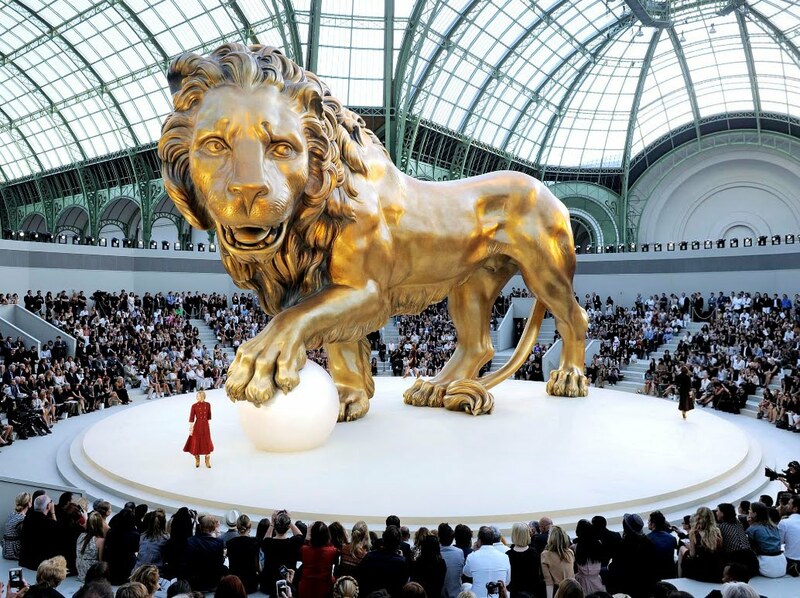 With both Sun and Venus in the sign of Leo Chanel was drawn to the majestic power of the lion. Inspired by it’s proud and regal nature, statues still sit on her desk in the large apartment at 31 rue Cambon. The lion also featured in her designs too, with references peppered throughout her collection. In fact, instead of the iconic interlaced “C’s” that we’ve come to know Chanel for, it’s a wonder the lion’s head didn’t make the cut as the central emblem. Seen in early vintage pieces, including the iconic quilted bag.